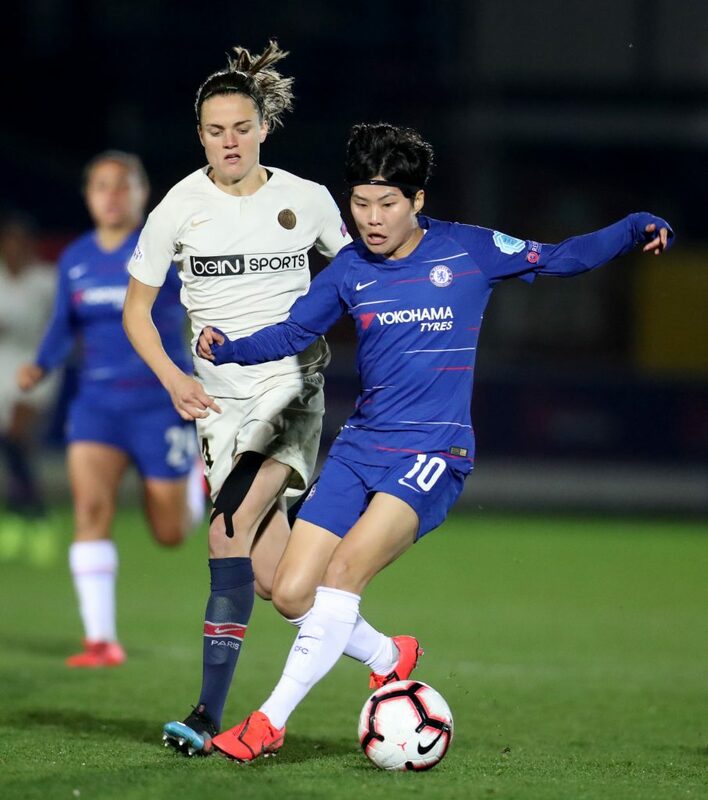 On a pleasantly balmy evening at Kingsmeadow, the balmy PSG ultras hit the pre-match headlines but it was a hugely impressive, well-organised, disciplined and effective team performance from Chelsea that we were talking about after the game. 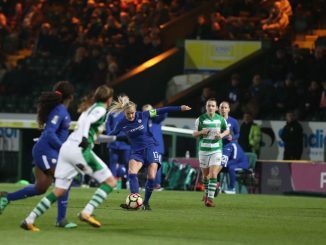 Emma Hayes was rightly proud and enthused by what she summed up as a, “fabulous half-time performance so far,” acknowledging that although they had earned a tremendous result on the night, there was still the return leg in Paris to negotiate next Wednesday. 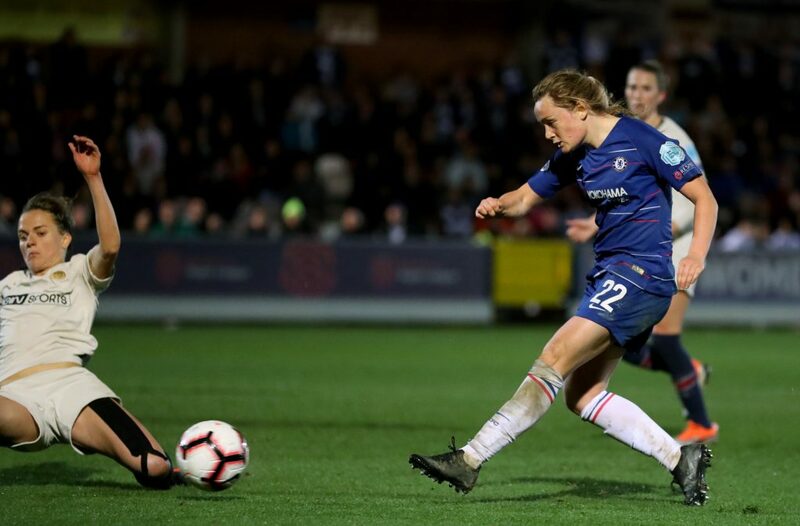 A one-goal victory would have been good but a two-goal margin is even better, so going to Paris is that a comfortable margin, does she feel confident? “I wouldn’t say comfortable. In front of 10-15,000, a packed crowd – I expect it will be quite hostile – we’re going to have to go through difficult moments like we did at Bayern Munich last year. “Experience matters in this competition and we keep reminding the team that with wounds, you gain wisdom and that’s what I’m hoping we will do. 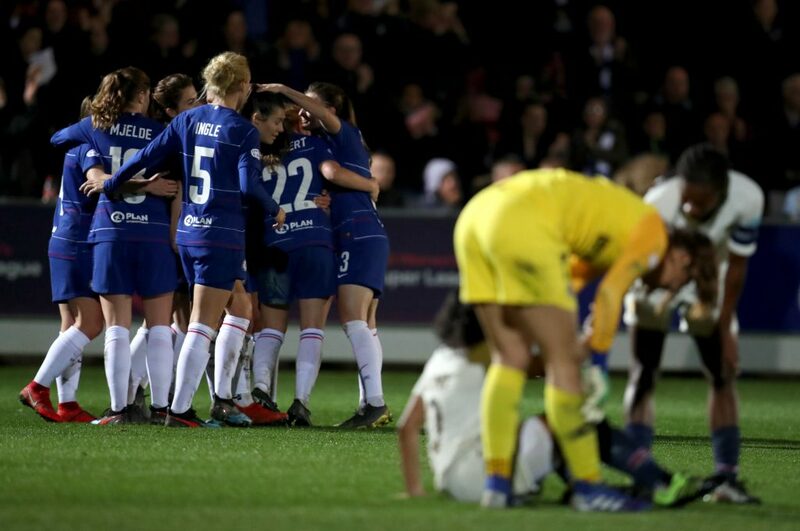 At half-time Emma had said we need to test the goalkeeper, so I got myself in a good position and I just thought I’d go for it and thankfully it hit the back of the net. My game is as an attacking full-back so when I can get forward, I do try and try to score as many goals as I can. You could tell in my celebration, I didn’t really know what to do because I don’t normally score many goals! Obviously, being at this club since I was 17-18, it means a lot, it’s such a big thing. Yes, players are going to be disappointed. We’ve got a big squad but these are the kinds of games you need a big squad for and we know whatever team Emma puts out is going to be the strongest team. 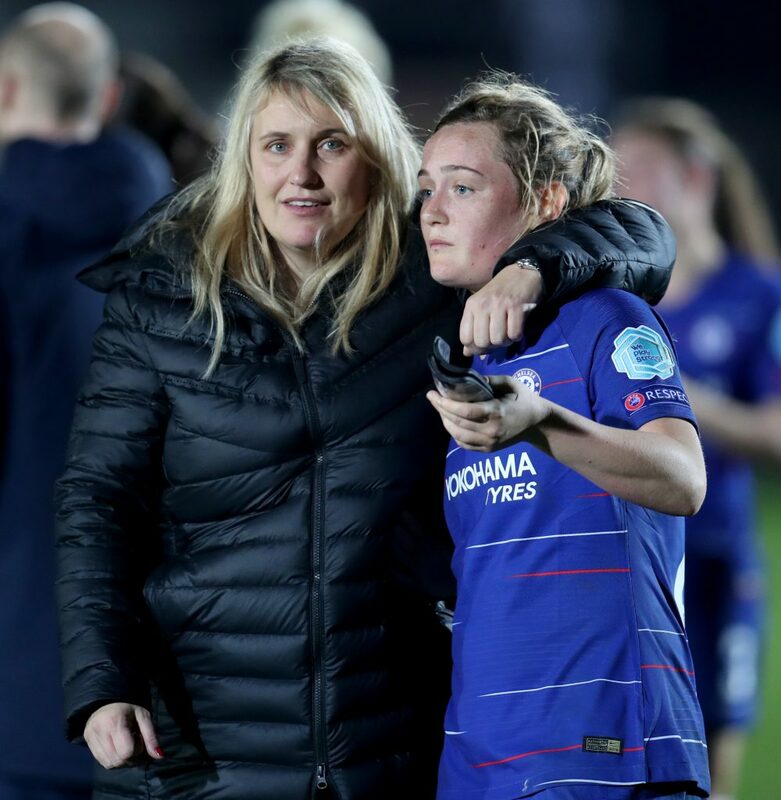 I hope so but I’m just going to focus on what I’m doing at Chelsea and if I get the call up, I get the call up and if not, then I know I’ve done my best at Chelsea and that’s all I can do. Delighted! 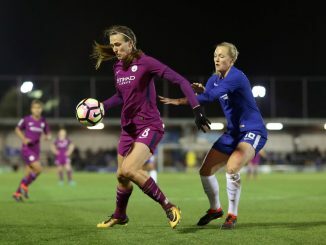 I think we were keeping a good defensive shape and it was a bit tight and edgy but I knew Fran Kirby had come off the bench and had a lot of legs in her, so I knew she was going to drive at the defence. 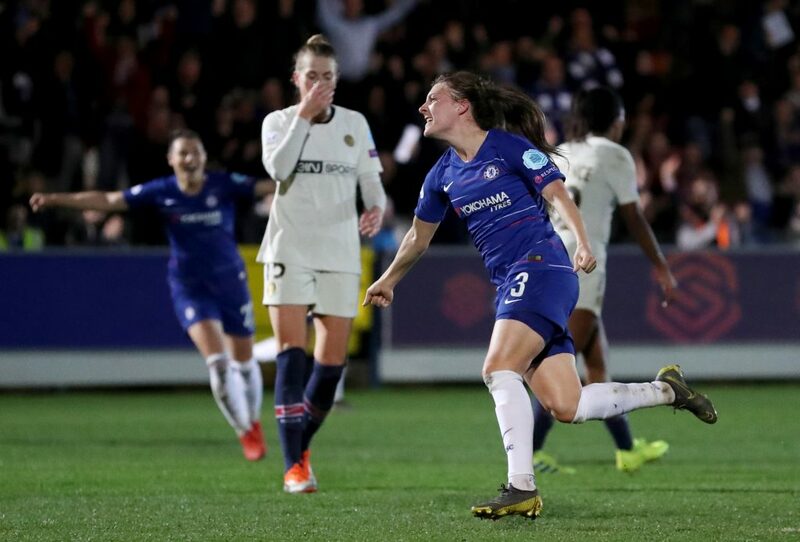 I took a gamble, I’m always encouraged by Emma to take a gamble and Fran’s played an excellent pass and I’m just delighted it went in the net. Honestly, delighted. The feeling when it hits the back of the net is unbelievable. I had a chance in the first half, was disappointed with it, thought I could have done better, so just happy that I could tuck the second one away. Yeah, it just shows how far we’ve come in twelve months. We’ve been practising all year for this. We play like this domestically as well but we all relish the big games. International players want to play in big games and tonight we were just excellent. We’re showing that English teams are now a force to be reckoned with, in Europe, for sure. I think the second goal was very good because taking a two-goal cushion to Paris is a lot better than a one-goal cushion. We know it will be hostile and an intimidating atmosphere but we’re all international players and we’ve all played in this environment before, so we’re expecting a tough game but we’re just glad it’s 2-0. 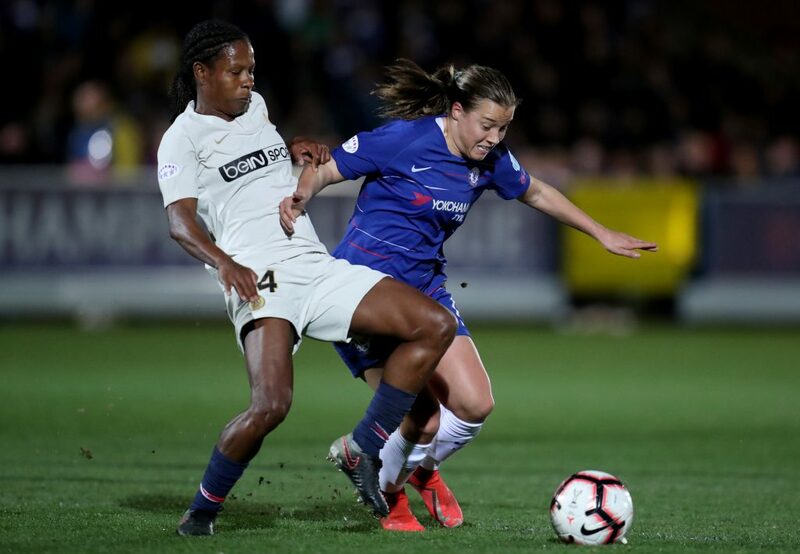 Yes, it is a big year but I just try and keep myself focussed on the game in front of me and the next game is PSG next week, though I think I’m suspended for it…so I’m just looking forward to the next game, so I’m not thinking about the World Cup or the FA Cup or anything. I think you’ve just got to focus on the process because as soon as you look too far in front it affects your performances.